You’ll find a ton of guides online outlining all the cool things you can do in Minecraft. What you don’t see as often is a list of things you should definitely avoid doing in this sandbox game. After spending a bit of time existing in the world of Minecraft, we’ve compiled a list of ten “don’ts” that all players should be aware of. 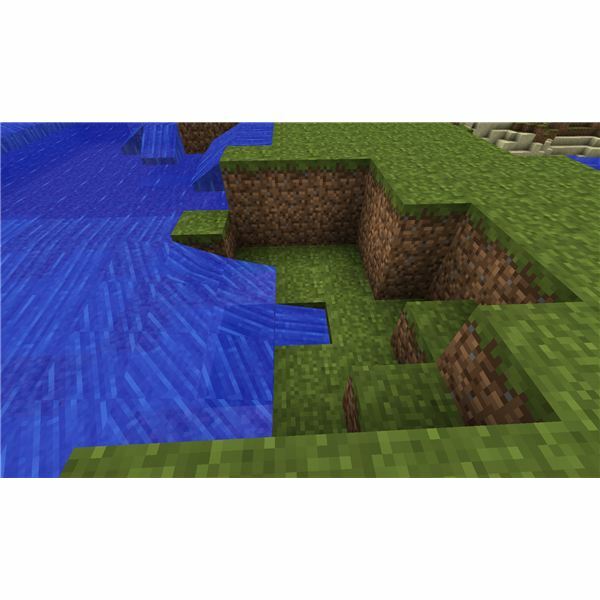 Check out the top ten things you should not do in Minecraft. This is a basic safety tip that you should always keep in mind. Never destroy the block upon which you are standing. Too many unsuspecting noobs have fallen into deep chasms or been burned alive in lava pits because they failed to heed this advice. When mining downward, always stand one block over from the one you’re about to destroy. Another important consideration while mining. It may be convenient to stand directly beneath that block of iron while you mine it, knowing that the ore will drop straight down and into your inventory, but you’re going to be very unpleasantly surprised when it’s followed by a torrent of lava searing off all of your skin. Other horrible consequences that can befall those who mine directly above them include being washed out of a cave by a sudden deluge of water, being suffocated under a mountain of falling gravel or sand, and having an angry zombie or Creeper drop directly on top of your upturned head. I get it. 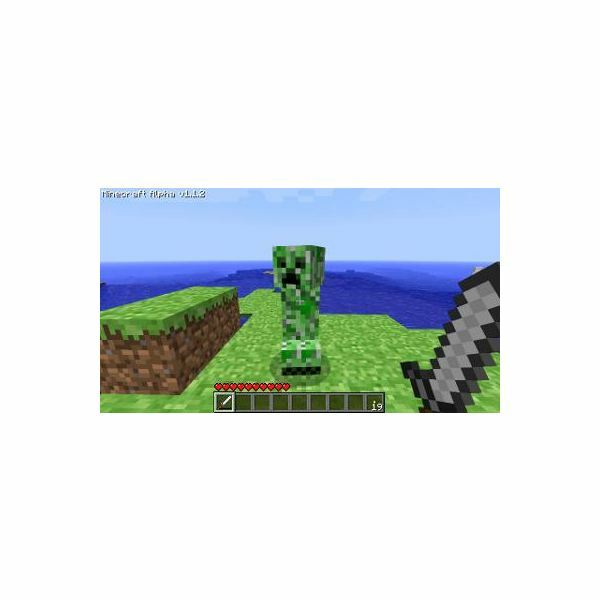 You see those armless Creepers scuttling about and you think to yourself, “hey, that guy’s got no arms, I can totally dominate him in a game of tag.” While you may be able to get in the initial tag, you’re not going to like the way Mr. Creeper responds to your impromptu playground game. Creepers explode when a player is within one block of them. While this certainly makes the game of tag more interesting, you’re probably going to live longer if you keep your distance. Play tag with Zombies instead, they move slowly and don’t, you know, explode. It’s late at night, and you’re out a buddy’s base harvesting some minerals or planning for a big exploration adventure the following morning. You’re having a good time but suddenly you realize, hey, I forgot my lucky diamond boots. You look out the window and decide you’ll have no problem getting to your base and back without being attacked. Here’s what’s going to happen. You’re going to get close only to be set upon by two bow-wielding skeletons. While they’re pelting you with arrows, you’ll make a mad dash toward your base, only to find two waiting Creepers who give chase and explode just as you enter the door, blowing a hole the size of an elephant in your carefully-crafted base. For anyone who hasn’t seen the YouTube video of the guy who builds a sweet fireplace in his cabin only to ignite it and burn the whole place to the ground, here’s some free advice: Fireplaces have no place in buildings constructed with flammable materials. Keep anything that will burn as far as possible from your decorative pit of flame. Or, just to be safe, don’t build a fireplace at all. Build a lava tower instead! This one comes from personal experience. A while ago I was constructing a sweet mob trap. I was using water to funnel them into a waiting cascade of lava, incinerating them instantly. I had the pits all dug out and went to carefully position the lava, and that’s when my four-year old daughter intervened. She picked the exact instant that I was right-clicking to drop the lava as the time to give me a big hug on my right side. Her affectionate gesture bumped my arm, causing me to shift my position just as I released the bucket of lava. Instead of creating a lava flow that ended just short of my feet, I placed the lava on an adjacent block and was subsequently burned to death. When I returned to retrieve my items, I discovered that they had all been consumed by flame, as well. Don’t mess around with lava, kids. The worst part of that personal experience could have been avoided had I heeded this piece of advice. You never know when you’re going be attacked by a Creeper or accidentally drop a bucket of molten rock on your head. For this reason, you should leave your valuable equipment stored in a box in your base. There’s no need to carry all the diamond you’ve collected on your person at all times. One, it’s a waste of inventory space. Two, if you end up dying, you’ll have to rush back as quickly as possible to retrieve it. Minecraft is a dangerous place. Leave your toys at home unless you want to lose them. The Nether is a terrifying dimension filled with Zombie Pigmen and fire-spewing Ghasts. Life expectancy in this hellish cavern is quite short. You can extend it by bringing the right equipment with you. 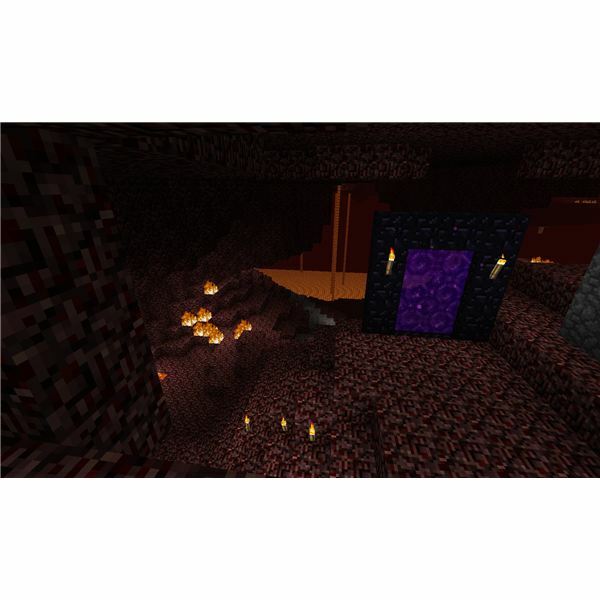 If you want to explore the Nether, you should prepare yourself beforehand. Make sure you have some armor and a good-quality sword. A bow is also a good idea. Take some cobblestone and flint and steel with you. A Ghast’s blast can shut off a Nether portal, trapping you there forever. Use the cobblestone to build a bunker around it and hang on to the Flint and Steel in case you need to reignite a portal quickly. When you hear the tell-tale hiss of a Creeper, your first instinct may be to rush for the safety of your well-constructed base. This is the absolute worst thing you could do. If you’re going to get blown up, run away from your base. At least this way you won’t take half of your outside wall with you when you die. This may be the result of an as yet to be resolved glitch, but it’s currently possible for mobs to teleport into your base if you sleep in a bed that is within two blocks of their location. If you lay down to rest in a bed against the outside wall, you may wake up to a Creeper drooling over you. Either place your bed in the middle of your base or ensure you’ve built double-thick walls around the entire exterior. Unless, of course, you want to spend the night in a romantic embrace with a Zombie. All references and images from Minecraft.